It’s a dreary winter day as Ms. Denton packs up her car and heads up I-24 West toward Clarksville. Ms. Denton is driving to Austin Peay State University to check in on three KIPP Nashville alumni. 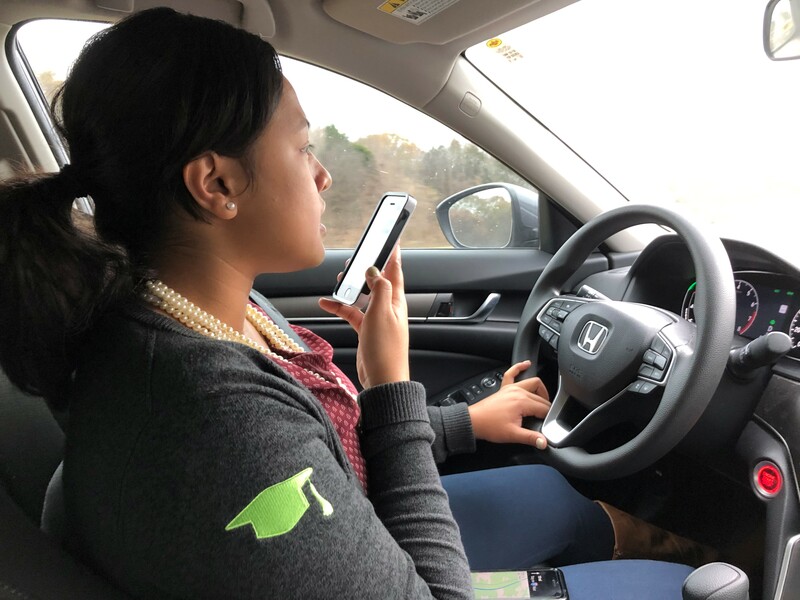 Once she hits the highway, Ms. Denton touches base with each student to confirm their meeting times and starts to get excited about seeing them in person. 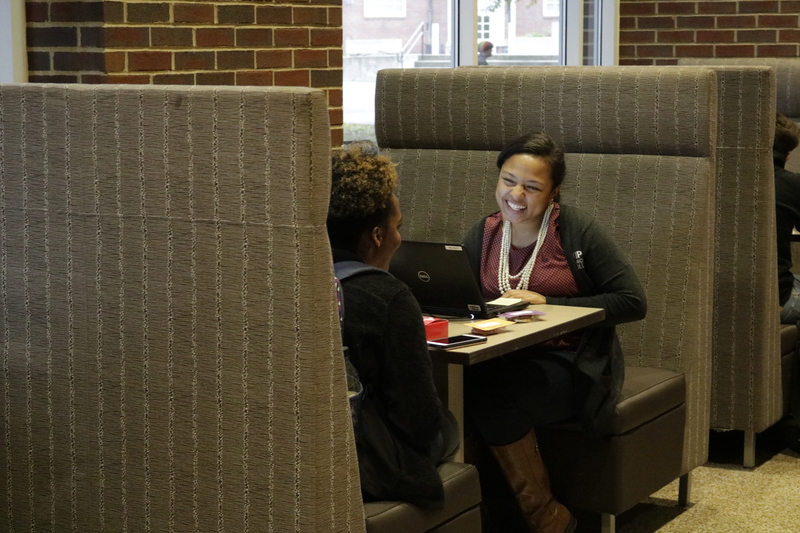 These regular face-to-face touchpoints are just one small part of Ms. Denton’s work as a college persistence counselor. This persistence work is part of the KIPP Through College team at KIPP Nashville – making sure our students are supported in their journey to and through college. It’s relational work that is based around building trust with our alumni, with the ultimate goal grounded in helping our students persist from semester to semester through graduation. Right now, Ms. Denton has 90 KIPP alumni on her case load in college, both in Nashville and around the country. Those within driving distance get personal visits – those too far away get monthly calls. 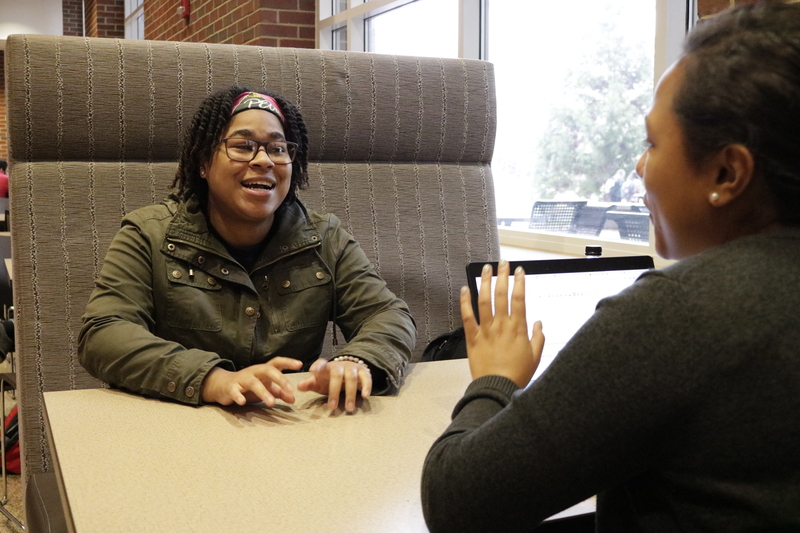 Chineerah, Ms. Denton’s first student, sits down in a booth and launches right into how she’s doing and what’s been happening in her classes. 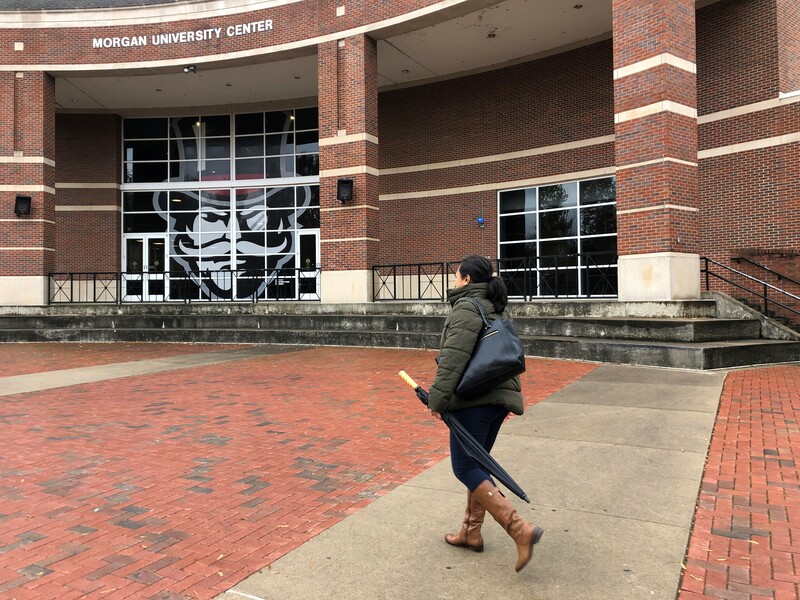 Chineerah is a freshman at Austin Peay, adjusting to the expectations of college professors and the challenges of time management in a less structured environment. Chineerah feels like she’s got a leg up on college compared to some of her classmates. There’s the regular conversation about class work and next steps for preparing for finals and registering for next semester’s classes. But Ms. Denton also asks about how Chineerah is settling in socially, whether she’s signed up for any clubs or activities. It’s these kinds of personal moments, coupled with the technical aspects of being in college, that Chineerah says makes this time so important. 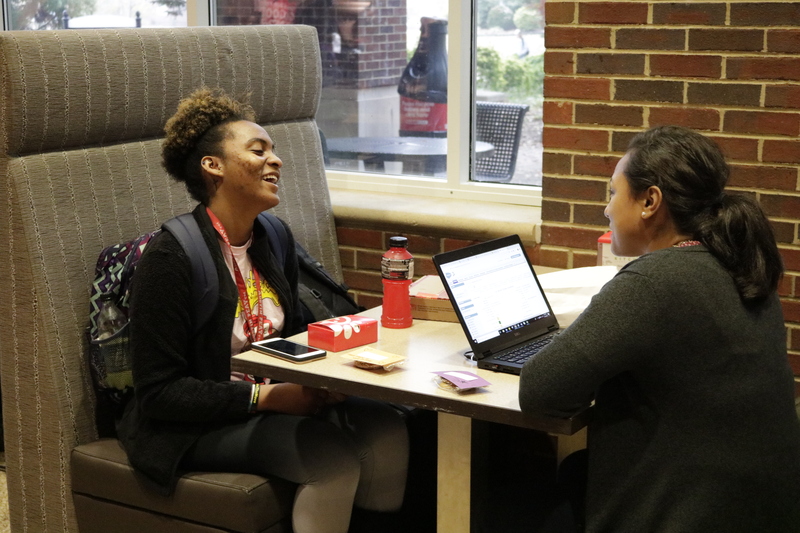 Ms. Denton’s ability to connect with her students comes from a place of personal experience. As a freshman at the University of Arkansas, Ms. Denton remembers she had to get used to living in a community triple the size of her small home town. To put it plainly, she describes the experience as culture shock and says at times, she didn’t know where to go or who to turn to with questions. It was overwhelming – a sensation she’s keenly aware of as she thinks of how her students are settling into their new environments. While it may seem difficult to measure the persistence work, Ms. Denton keeps careful track of every interaction she has, noting everything from academic progress and social emotional wellbeing to financial situations. Each month, she’s building a holistic picture of how each student is doing, which in turn shapes next steps and guides her daily action items. KIPP Nashville’s goal is for 79 percent of our alumni to graduate from college – that is the graduation percentage from the highest income quartile in the United States. For students from educationally underserved communities, that number goes down to 12 percent. Ms. Denton’s persistence work is part of what it takes to help our students reach that 79 percent goal. Ms. Denton’s last appointment of the day is with Sabreonna, a sophomore at Austin Peay who’s studying pre-med biology and sociology. “She keeps me on track,” says Sabreonna. Even though there is rarely any instant gratification in persistence work, Ms. Denton seizes the joy in the little “aha” moments when she sees her students figure something out they didn’t know before or take responsibility for the next step and plan for it without her help.